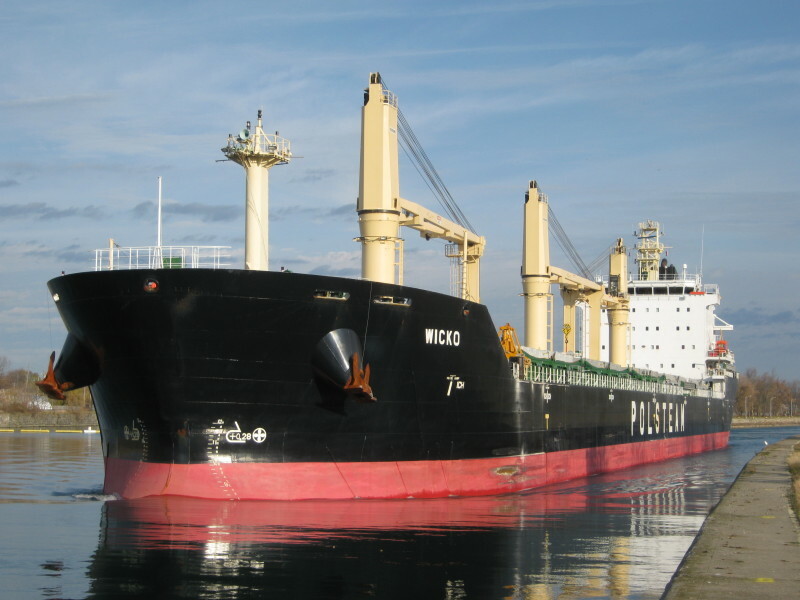 The Polish Steamship Company (Polsteam) is about to introduce a new occasional cargo-passenger service with sailings from the UK port of Teesport, to ports in the Great Lakes. The first sailing will take place in mid April with passenger bookings being taken on a standby basis. Fares are US $1,640 per passenger in single or double cabins from Teesport to ports between Montreal and Detroit, and $1,880 to ports above Detroit. Port charges are $132 per person extra. The first sailing will be by the Wicko, pictured above by Vedran Mlacic in the Welland Canal bound for Cleveland. On the first sailing in this service, th Wicko will be sailing to Sault Ste Marie, Ontario, a new port for Polsteam passengers. Intending passengers who are not US or Canadian citizens require a full US B1/B2 Visa to enter the United States by cargo ship. If there are direct sailings to Canadian ports, US visas may not be required. Space may also be available from the Great Lakes once destinations are known. Regular sailings are also still being offered twice a month from the port of IJmuiden, on the North Sea Canal near Amsterdam, to both Cleveland and Burns Harbor. For details on the regular service from IJmuiden please click here. For further information on these voyages, please call Miri Lopusna at The Cruise People Ltd in London on 020 7723 2450 or e-mail cruisepeopleltd@aol.com.